Just before Christmas 2000 I began to have various symptoms that necessitated a visit to a colorectal surgeon – who referred me to a gynaecologist for further tests and examinations to find out what was causing very noisy sounds coming from the tummy area. So in January 2001 I entered the local hospital and underwent surgery for the hysterectomy.. What I didn’t know was that the gynecologist was uncertain if the mass had touched the bowel area and so had asked a colorectal surgeon to be beside him when he operated. As it was obvious that I had no idea what a colostomy was, the nurse (John), standing at my side – said (and I have never forgotten these words) “Jackie you have a bag on your tum – ask for a pair of shoes to fit”. Little did I know that those words would be introduce me to the humour side of a colostomy and still be with me 18 years later ! Returning to the room later my husband and I listened to the surgeon explaining that the cancer had attached itself to the bowel and it had been necessary to remove part of the intestine and so a stoma had been formed. I was told that the stoma could not be reversed any time in the future. The nurse looking after me was excellent and I gradually became aware of how the bag looked and how it stayed on the tummy area. Of course, as part of the membership of joining the stoma “club” I had the inevitable accident when I dropped a very full pouch while attempting to change it. A lot of cleaning up had to take place before I was ready to return to bed. Leiomyosarcoma, also referred to as LMS, is a malignant (cancerous) smooth muscle tumor. A benign tumor originating from the same tissue is termed leiomyoma. While it has been believed that leiomyosarcomas do not arise from leiomyomas, there are leiomyoma variants for which classification is evolving. About 1 person in 100,000 gets diagnosed with LMS each year. Leiomyosarcoma is one of the more common types of soft-tissue sarcoma, representing 10 percent to 20 percent of new cases. (Leiomyosarcoma of the bone is more rare.) Sarcoma is rare, consisting of only 1 percent of cancer cases in adults. Leiomyosarcomas can be very unpredictable. They can remain dormant for long periods of time and recur after years. It is a resistant cancer, meaning generally not very responsive to chemotherapy or radiation. The best outcomes occur when it can be removed surgically with wide margins early, while small and still in situ. However the oncologist went onto say that the cancer could not be treated and I should go home and do all the things that I would enjoy. Listening to her I asked a very important question – “are you saying that I have limited time” She replied “yes – I don’t know if you have 5 days, 5 weeks or 5 months.” No treatment such as chemo or radiotherapy was mentioned as it was felt that the amount of pain would not be of any gain. It was a shock and it was hard to tell my husband as we had only been married 1 year. That was the only time I cried as I knew he would relive nursing his first wife with cancer and losing her to the disease. I returned home and we proceeded to put our affairs in order . Meanwhile I was looking for positive ways to fight the cancer and with the support of many friends but especially my wonderful supportive husband I began fighting the disease. I went for Reiki sessions to heal my body and mind, I researched “foods that beat cancer” I joined New Approach to Cancer where I received advice, counselling and Reiki treatments. I was placed on prayer lists all around the country. People everywhere were praying for my cancer to leave my body. I did everything to fight the cancer – but at Easter 2001 the cancer returned – this time it was a very aggressive cancer in the lining of the stomach. The oncologist had been researching this rare cancer and had contacted cancer specialists in the States and found a chemotherapy that could attack these cancerous cells. . I began what was to be 6 sessions of chemotherapy . What a laugh that was. To save me losing my hair it was agreed that I would wear an ice cap. This stops the chemo getting to the hair follicles and the hair dropping out. It was like wearing a tea cosy on my head…..ice cold it was very uncomfortable but effective. My hair thinned but I did not lose my hair. I looked forward to my chemo sessions – of course I felt unwell sometimes but continuing all my attempts to beat this disease I continued doing everything I could to beat it. I had 4 sessions of chemo with scans after all of the sessions and –wow- the cancer was shrinking. I had my 5th treatment and because the out come was so good it was decided to keep back the 6th treatment “just in case”. I had an excellent stoma care nurse who encouraged me and ensured that I was well cared for. Of course I was tired and weak but I never lost my positive attitude that I could somehow beat this “thing”, her care of me and my wellbeing has lasted even until today. At the end of 2001 I attended a coffee morning at Wokingham hospital held by a stoma care nurse. This was the first time I had ever met anyone else with a stoma and what I learnt that day has stayed with me forever. I was introduced to Tidings magazine. From Colostomy UK – full of supportive articles, advice and hints and tips. I cannot tell you what worked – was it the prayers of so many people, was it the chemo, the change in diet, the positive attitude that I would beat the cancer ? Whatever it was I am now into my 18th year of living with a colostomy. 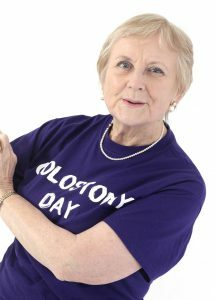 I am a volunteer for Colostomy UK and I run two support groups that are based on the idea that if you can talk to someone who is a little further into the journey of living with a stoma it helps. It helps to talk to those who know how you feel. Cancer is a strange disease – it can have terrible results (effects) not only on your life but also on those around you that feel helpless watching your battle. It is so important to receive support from all the cancer associations. They are there to help – keep you positive and focused on what is best for you. Many times I have seen friends lose the fight against their cancer – – but we who have been told that we have limited time make the most of every minute. We use that time to tell our loved ones how we feel about them. We do not let a day pass that we don’t look out and marvel at nature and what it offers to us all however we feel. Live with cancer, live well with cancer until you beat it.